The Christmas cards are starting to trickle in and it’s time to put them on display! Each year I love coming up a new way to show off our cards from family and friends and this idea is my favorite one yet. 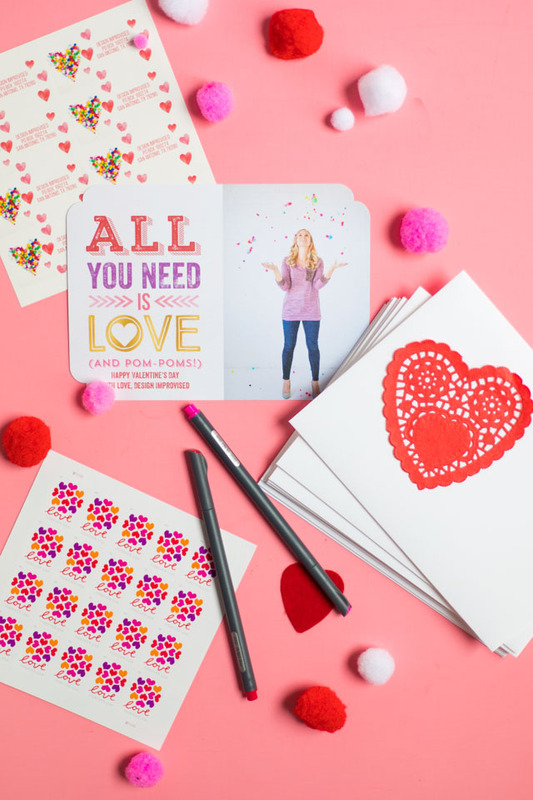 It’s not hard to figure out why… it’s filled with pom-poms! 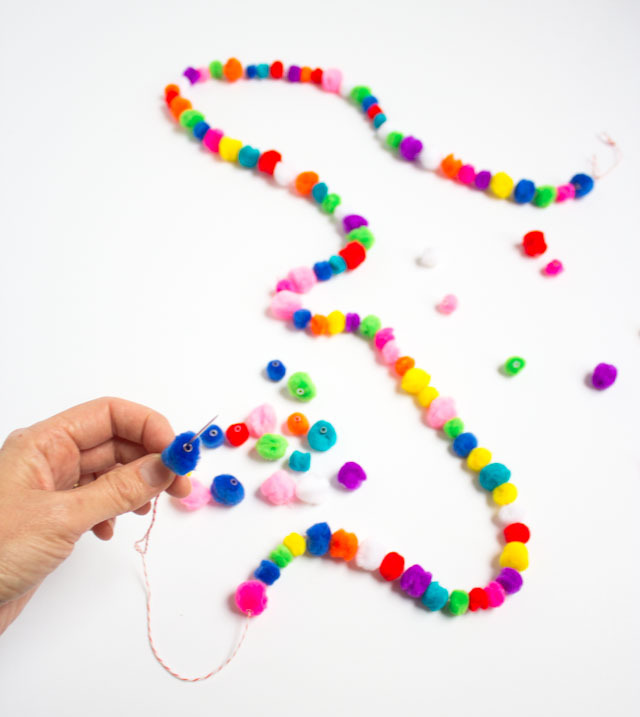 And not just any pom-poms, these are pom-pom beads, folks. 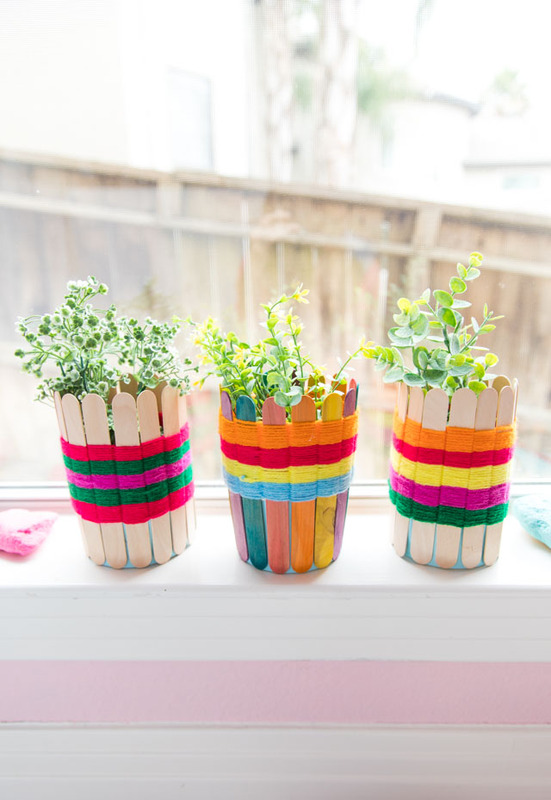 Crafting doesn’t get any better than this! 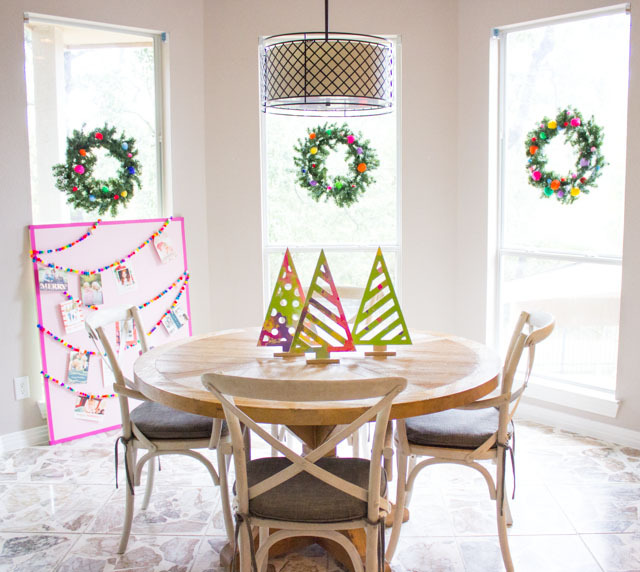 I partnered with Minted, makers of my all-time favorite holiday cards, to share this idea with you. 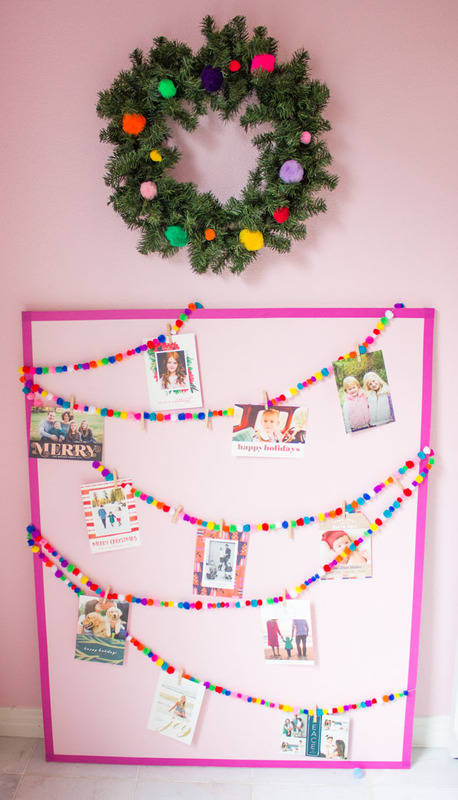 This pom-pom garland display would work great on a blank wall, a fireplace mantel, or a big piece of plywood like the one I used. 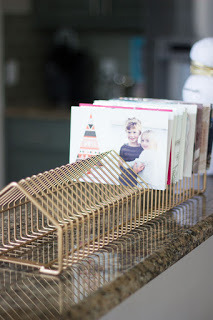 I’ve propped ours up in our kitchen – read on to see how it looks! I had a good chuckle the other day when I caught my husband staring quizzically at the Christmas cards on display trying to figure out who they were from. 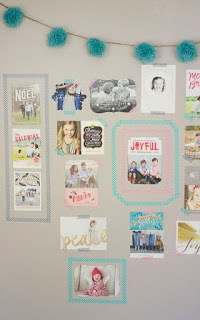 Little did he know, that my display features some of the beautiful sample holiday cards from Minted. He thought I had a whole set of family members and friends he didn’t know about. 😉 He did recognize one card in the mix though – can you spy Stella and Hazel? 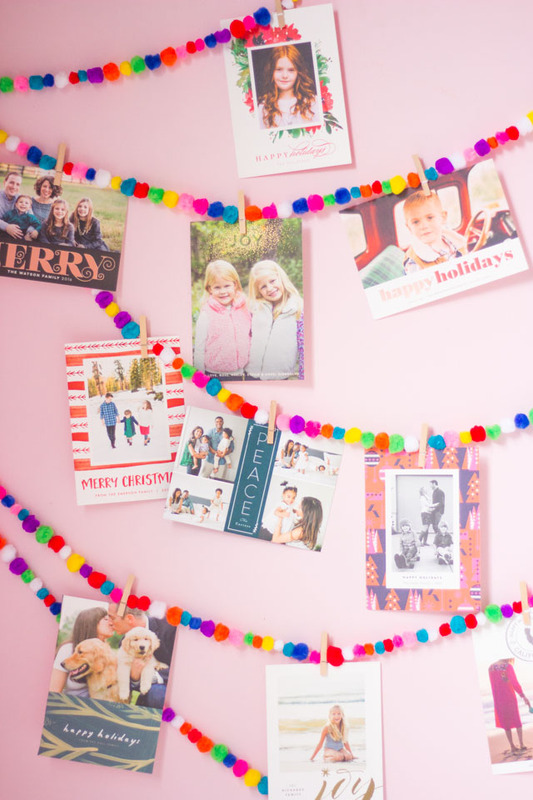 We have sent out Christmas cards from Minted the last few years and I have always been so impressed with their quality and selection. 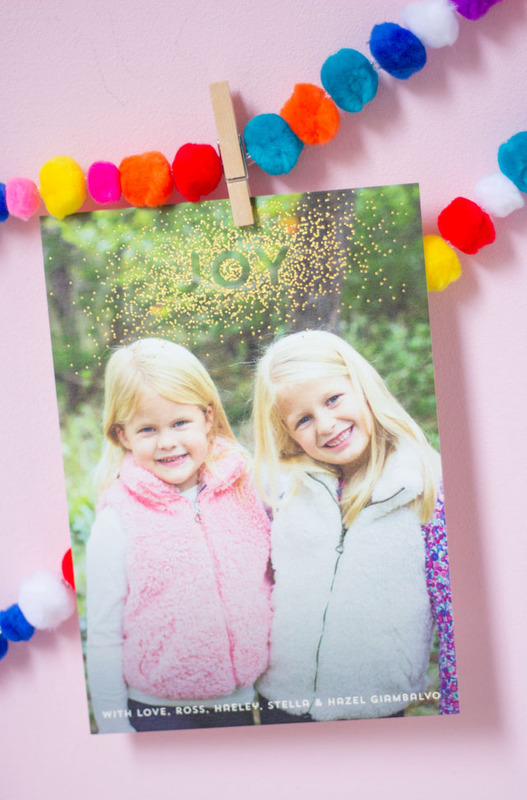 I am especially loving their line of gold foil cards like this Sprinkle of Joy design we chose. So pretty! 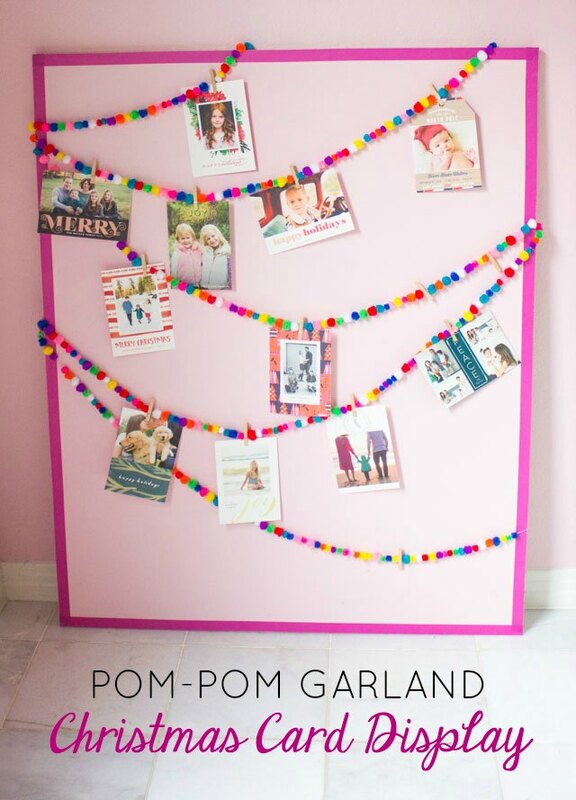 Making this display is as easy as making strands of the pom-pom beads and hanging them with 3M command hooks. 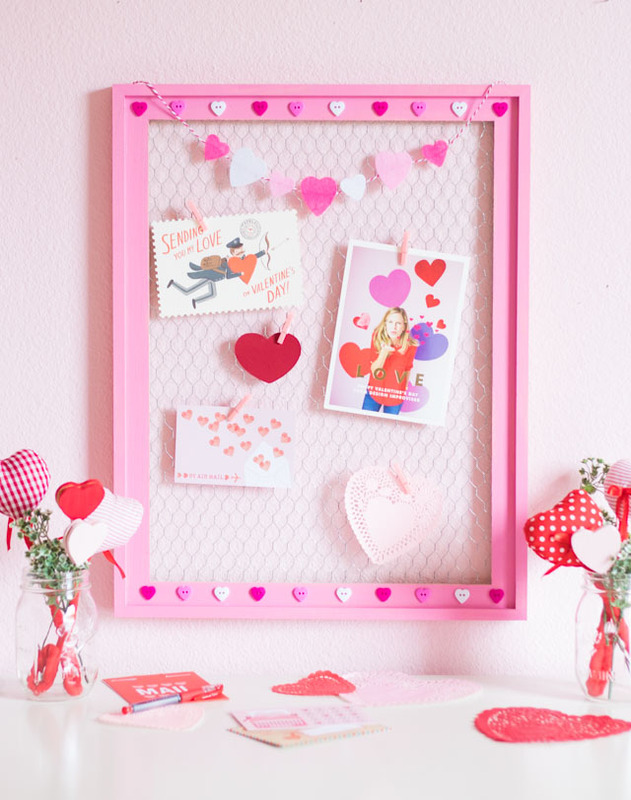 Clip some mini clothespins onto the garland to hold the cards and you’re done! 1. Tie a knot at the end of your bakers twine and thread the other end through the needle. 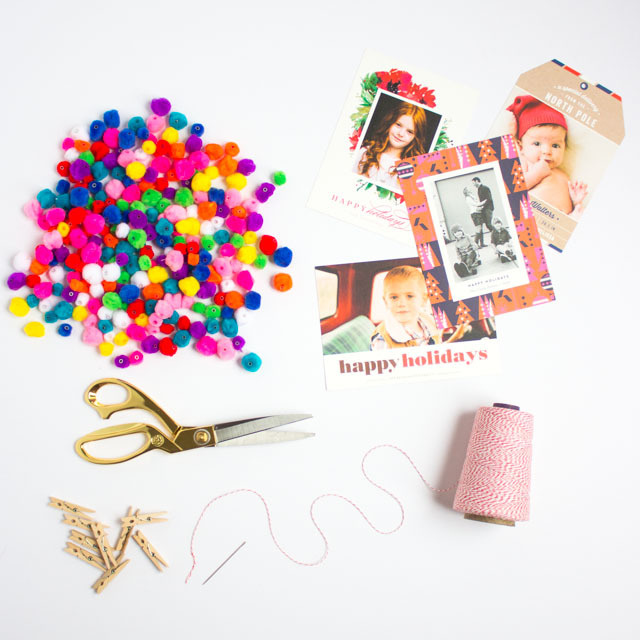 String on the pom-pom beads in a random order and continue until you have a garland as long as you want. 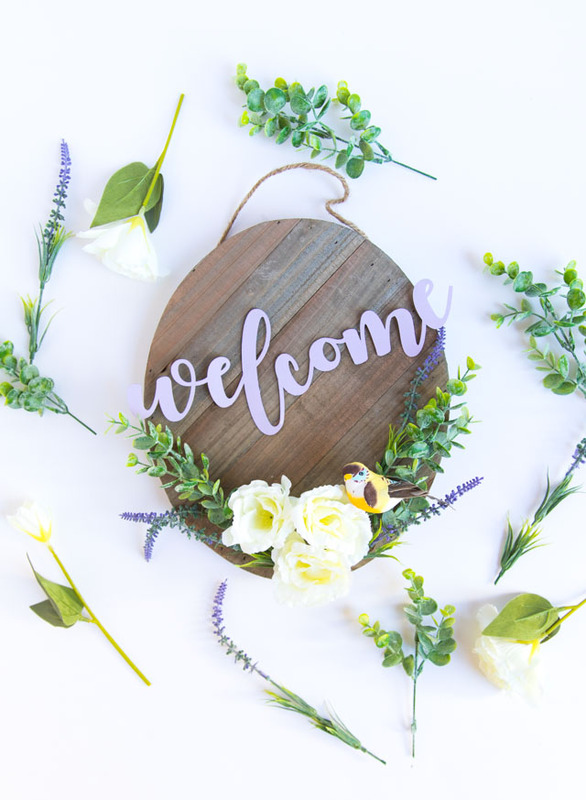 Repeat with additional garlands. 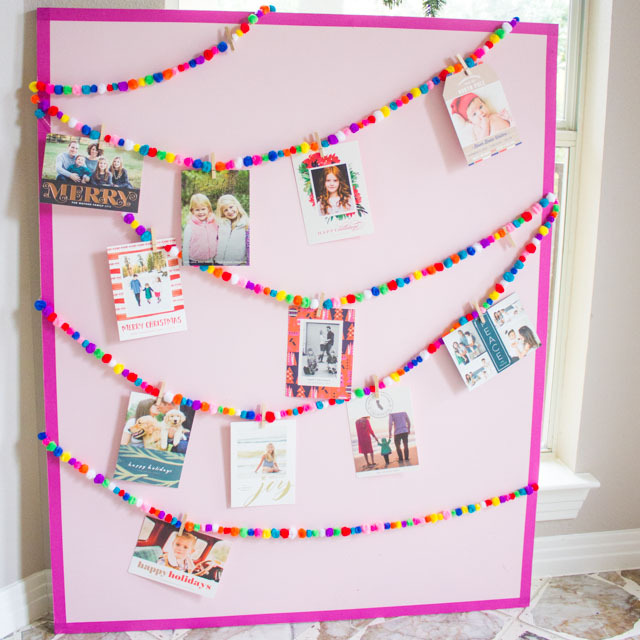 Because I didn’t have a blank wall that would work for the display, I used a piece of plywood that I had painted pink and lined with hot pink masking tape. I propped it up in front of our kitchen windows. 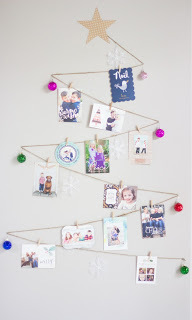 Don’t miss my other Christmas card display ideas!